At Beijing’s high-speed railway station, there is confusion as city workers heading home for Spring Festival encounter a new machine where humans once checked tickets. Hat off, scarf off, eyes ahead – despite the bitter winter chill, China’s facial recognition system 2.0 requires a clear image for its records. Passengers also put their national identity card in the machine. Dubbed the world’s biggest human migration, Lunar New Year sees 400 million people across China travelling between January 21 and March 1. Dai Shanshan, deputy director of the Beijing Station, told the Beijing Evening News that a system in which multiple cameras simultaneously watch a face has improved the speed and accuracy of Facial Recognition 2.0, a major upgrade installed for the railway’s peak season. * The 10 year photo challenge: Just ‘fun’ or should we be worried? But passengers are not used to the machines, he said, and there had been high demand for assistance from railway staff, who remind people to remove smog masks and hats. The high-speed train announcement warns passengers if they break the rules it will be recorded on their personal credit file. The facial recognition system is another step up in surveillance, capturing faces for inclusion in vast databases to be mined by artificial intelligence algorithms. While new to these Beijing residents, the facial recognition machines are pervasive at entrances and exits of train stations in the troubled western region of Xinjiang, part of a system to restrict the movements of the Uighur ethnic minority. 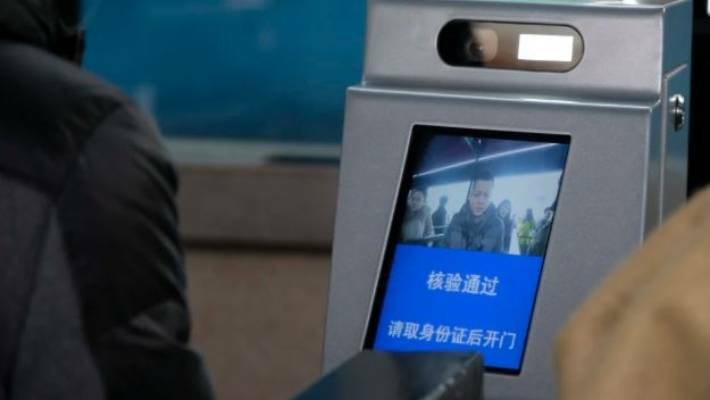 Train travellers are confronted by a new facial recognition system as they travel home from Beijing for Chinese New Year. As the technology is rolled out across China’s major cities, state media is highlighting its convenience, promising shorter queues, and “safety” benefits. Missing people could be found during Spring Festival if a face matches a database, it has been reported. Yet missing children would be unable to use the machines – they can’t be used by anyone under 1.2 metres tall. Human Rights Watch’s China director, Sophie Richardson, says “states always resort to public safety issues when they are collecting data”, but China is embarking on a “pan-opticon hoovering up of all the data you can find”, even though it does not have a big problem with violent crime. Passengers are warned over the railway station’s PA system to behave or their behaviour will be recorded on their social credit file. Instead, it appears the high-speed rail network that so many Chinese rely on to travel long distances for business or holidays has become the fulcrum of the Chinese state’s experiment in harnessing digital technology to not only watch its citizens, but also to shape their behaviour. On the high-speed train from Beijing to Shanghai, passengers are warned over the public announcement system to behave, or else transport rule-breaking will be recorded in their social credit file. Smoking in a no-smoking zone, disturbing public order or fare evasion could result in offenders being barred from future train travel, the announcement says. “In order to avoid affecting personal credit, please consciously abide by relevant regulations and maintain the station and train operational order,” it warns. Passengers rush to Beijing Railway Station, many heading home for Spring Festival. By the end of 2018, 5.4 million people had been banned from buying high-speed rail tickets, and 17 million people had been stopped from buying air tickets, because they were put on a black list by a court, the tax office or another government department. Another 12,920 people have had financial restrictions imposed. First conceived in 2014, the social credit system aims to harness data to reward good behaviour and punish rule breaking. It is due to be unveiled nationally next year, but piecemeal trials to link data from 44 government departments have been expanding rapidly, with a focus on punishing tax evasion, fraud, fine defaulters and unpaid court debts. China’s National Development and Reform Commission, which is overseeing the social credit project, said it had collected 30 billion pieces of information by December. Within a few months of airlines being added to the social credit system, more than 5000 people were banned from future air travel for their conduct on planes, most for carrying dangerous goods, a quarter for trying to use false ID, and some for their behaviour in the cabin. Only 1417 people managed to get off the blacklist in 2018 and have their travel rights restored, after paying the due tax, late fees or fines. 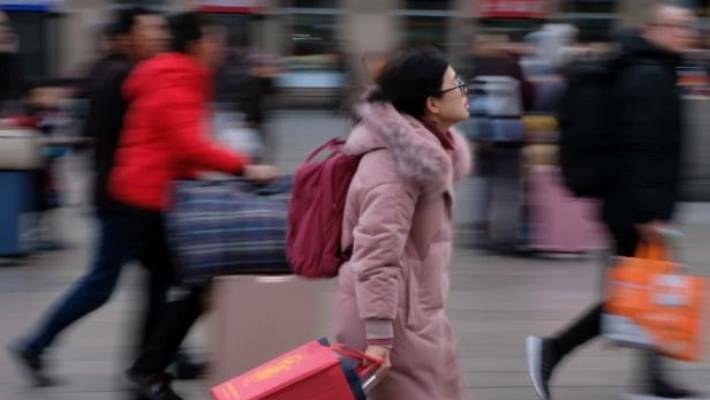 Beijing’s city government recently flagged it would expand its city social credit system so that “untrustworthiness in one area is met with restrictions everywhere, making it hard to move an inch”. She says it was “not clear to us just how integrated and functional the data collection strategies are … but we should be concerned about the state’s intent”. 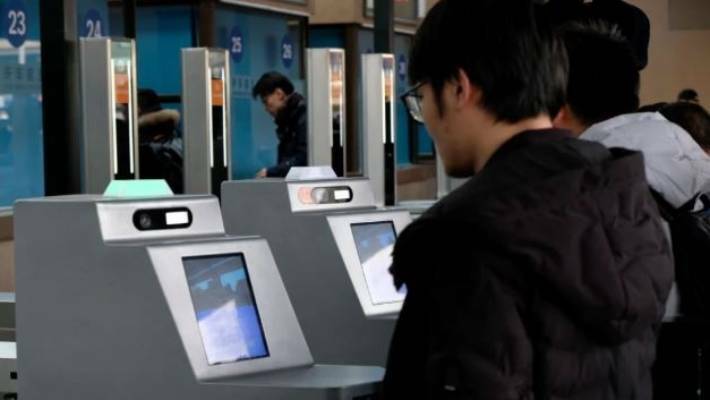 In Guangzhou, subway commuters who sign up for a new facial recognition system and have a “good travel record” can avoid queues for luggage checks and use a special biometric gate. But what happens when the technology fails? The first trial of facial recognition at Beijing station in 2016 found the system couldn’t recognise a person with a recently shaven head, plastic surgery or make-up that made them look 10 years younger. The panopticon might not yet be perfect, but it is everywhere, and learning fast.